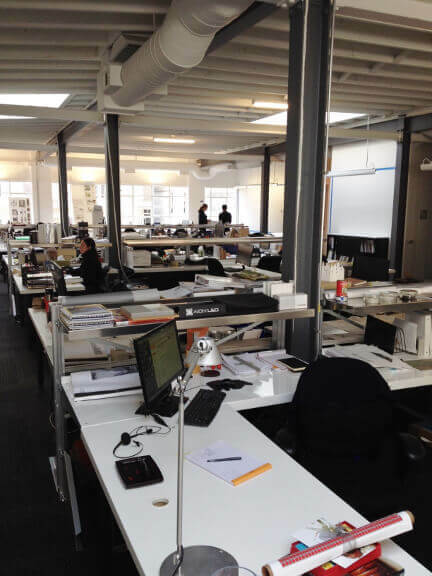 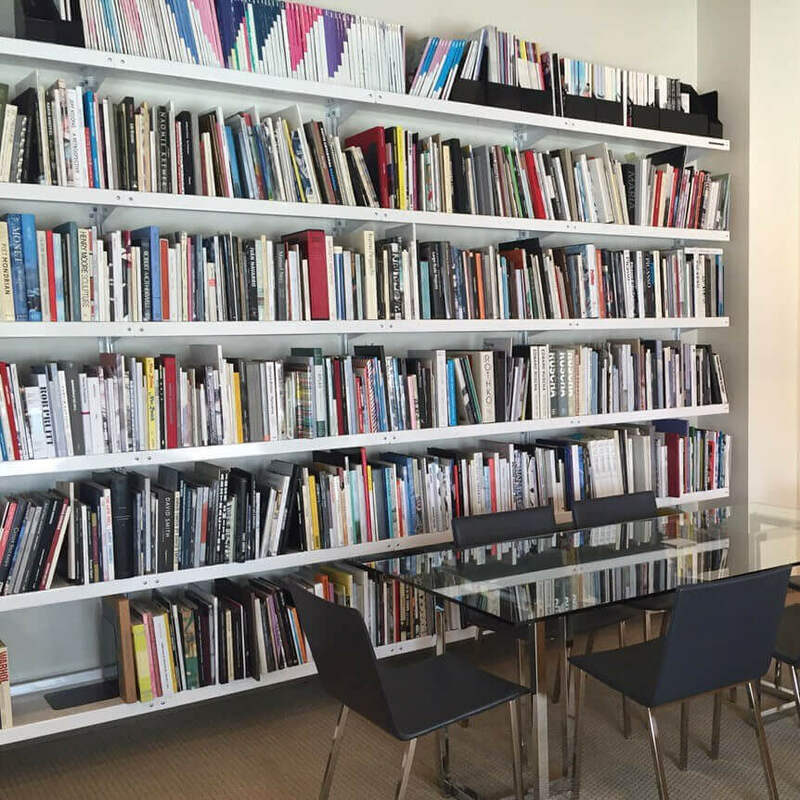 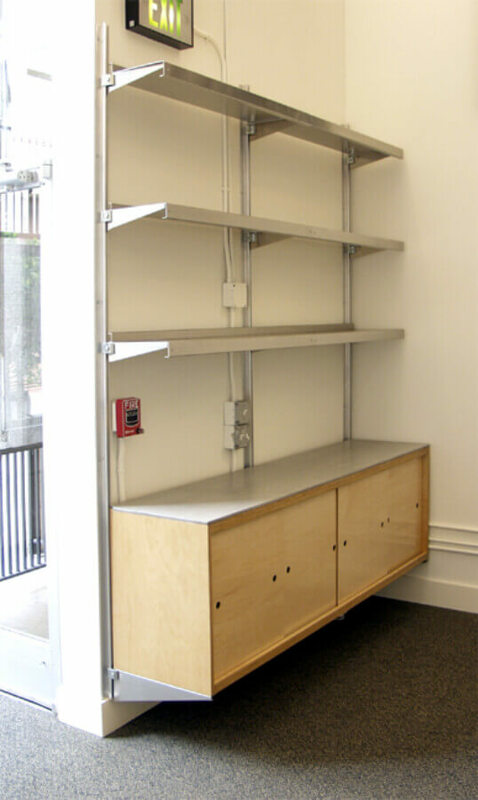 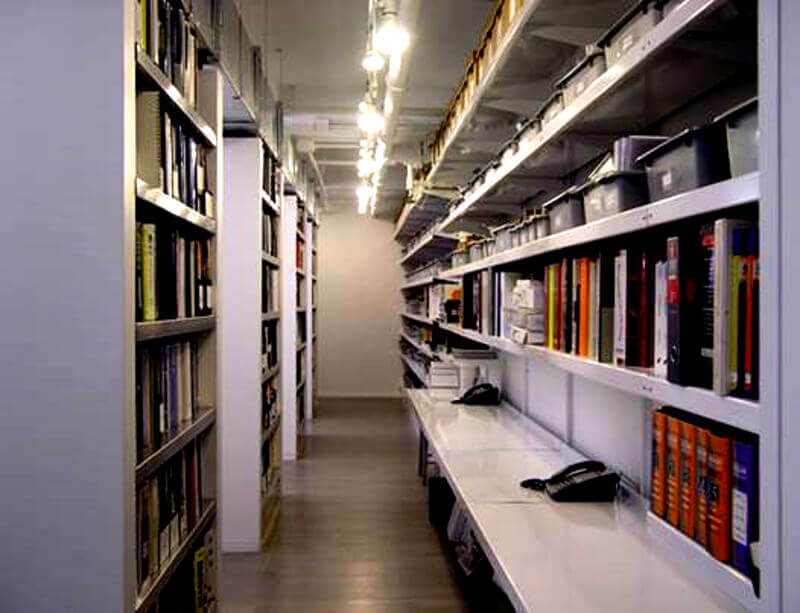 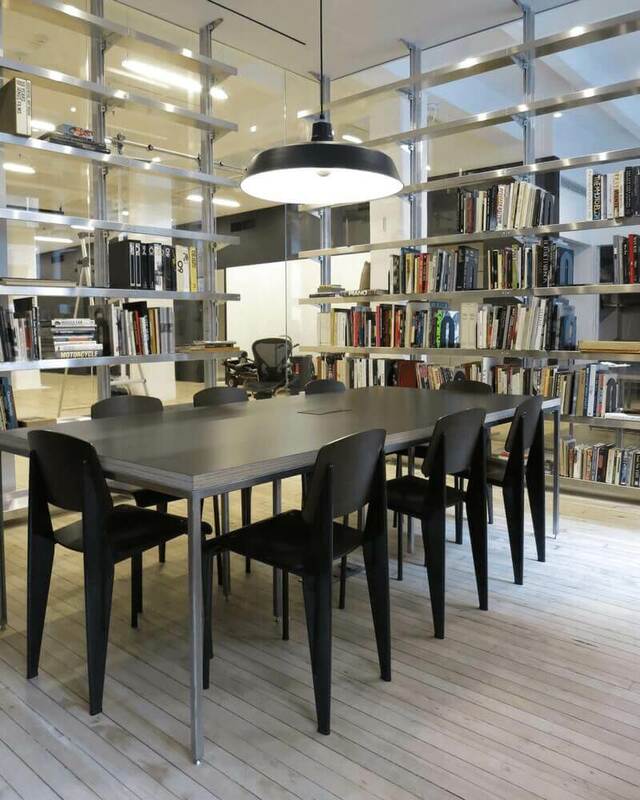 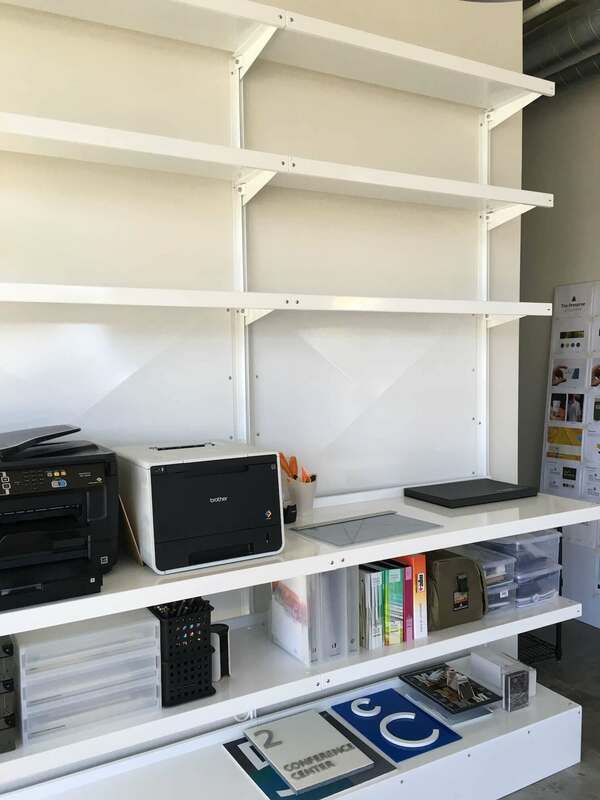 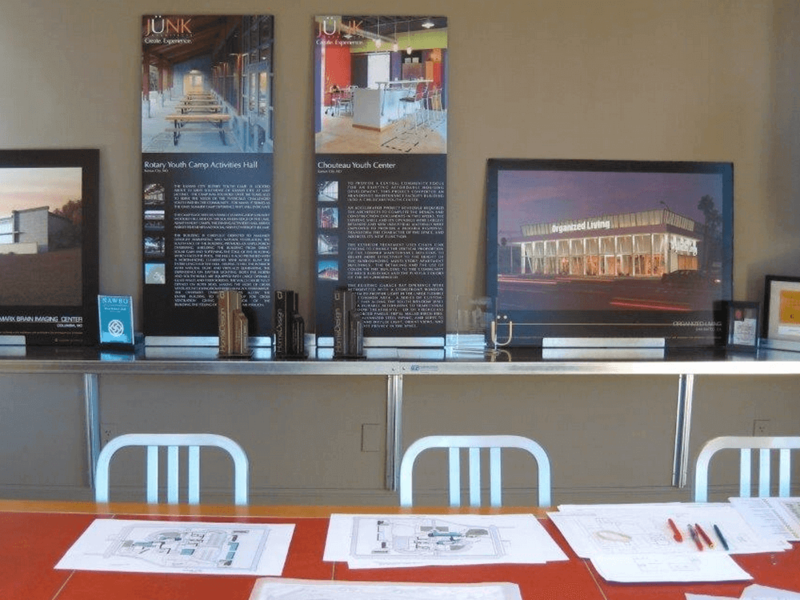 Gallery ⋆ Shelving Systems by E-Z Shelving Systems, Inc.
A finished look with back panel and base enclosure. 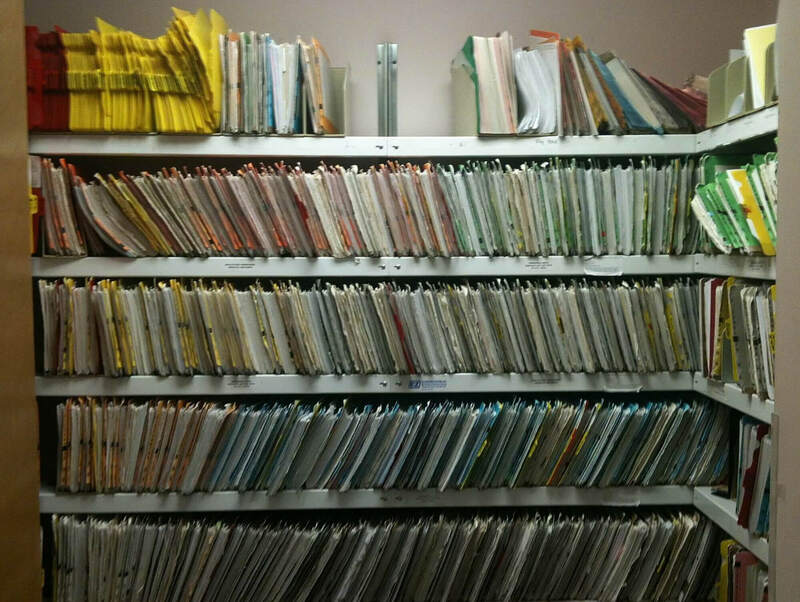 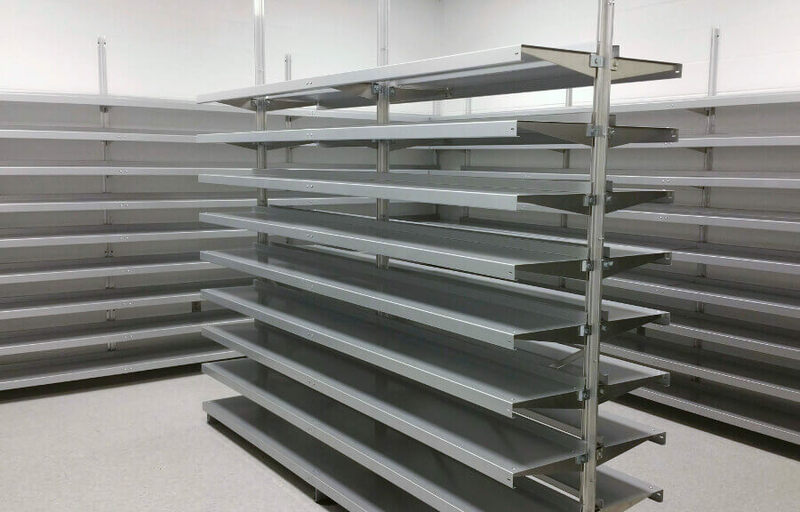 Ask for your 6" E-Z Shelving sample. 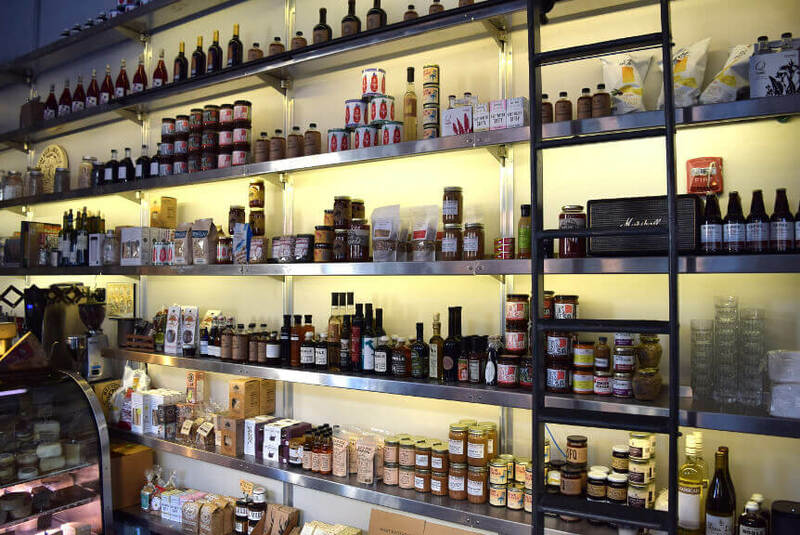 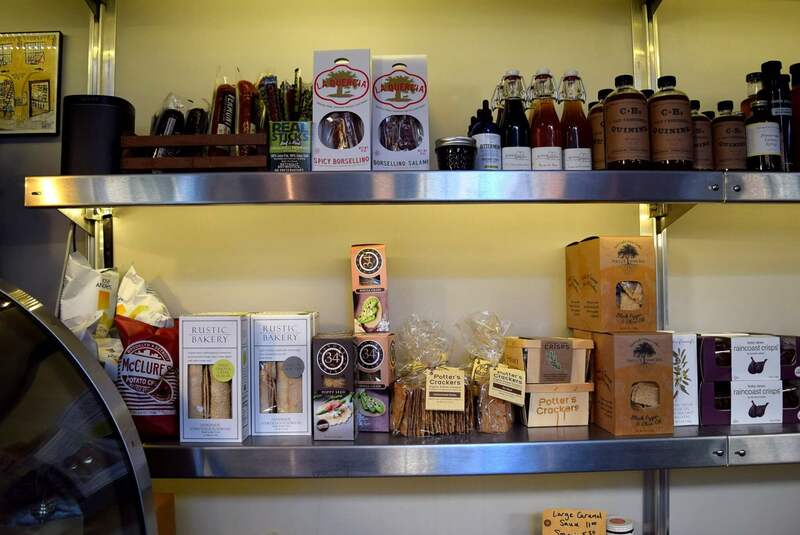 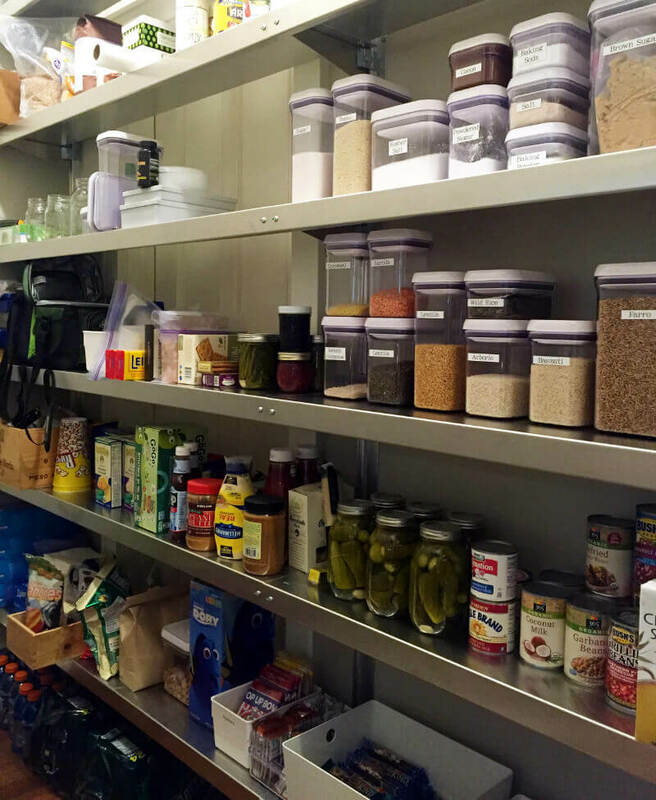 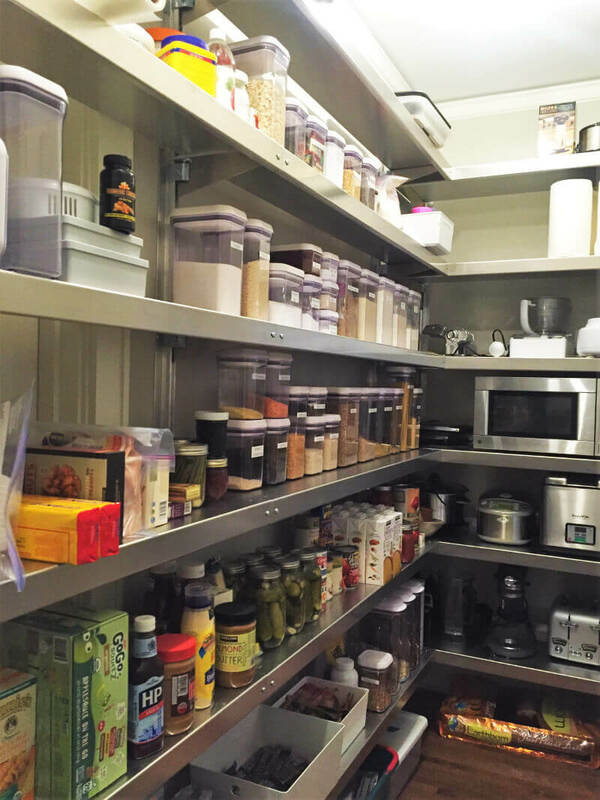 Organize a beautiful pantry with E-Z's aluminum shelving components. 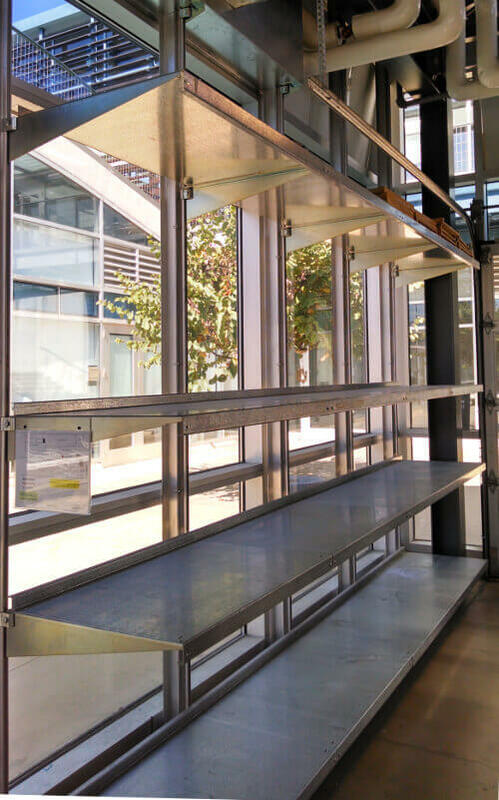 Wall-mounted shelving transitions to freestanding shelving in front of glass. 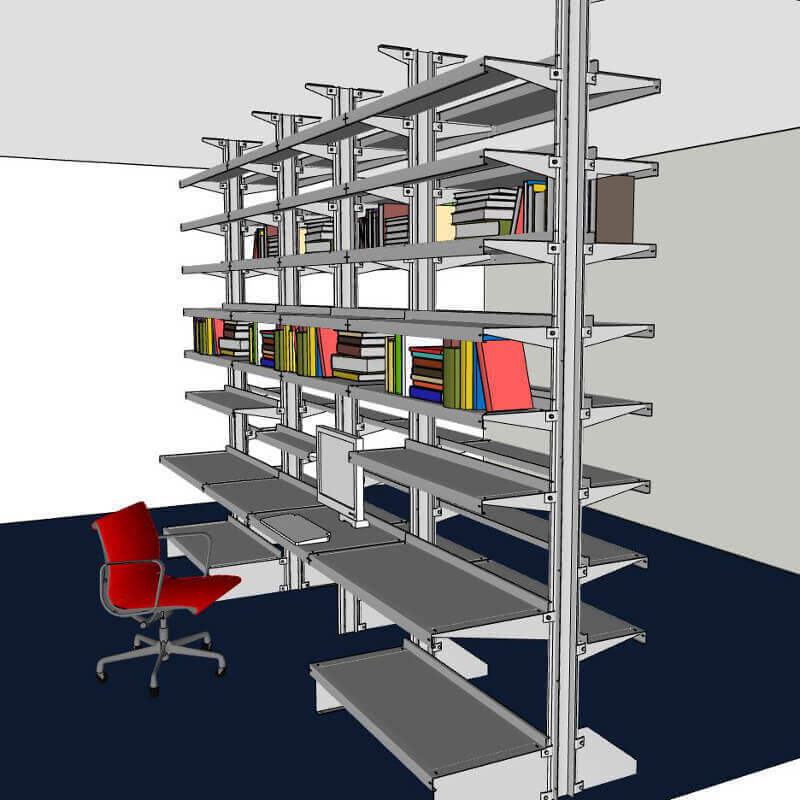 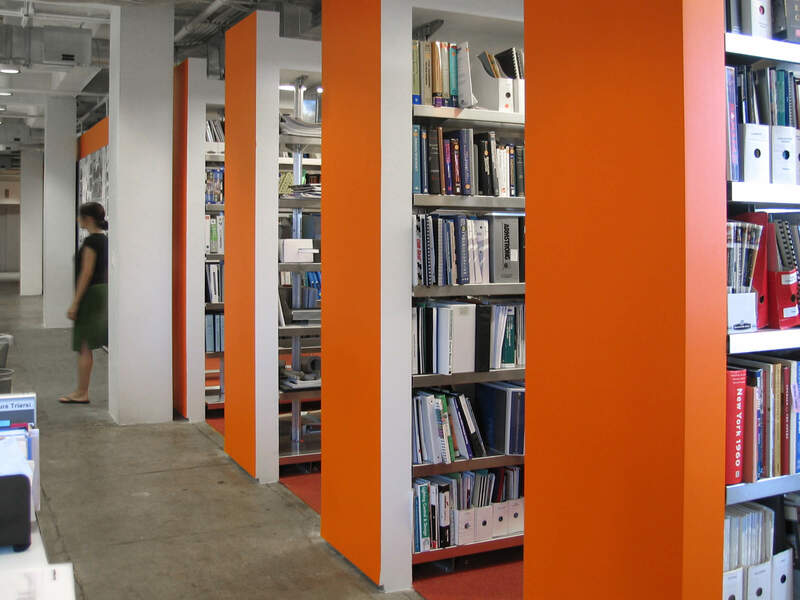 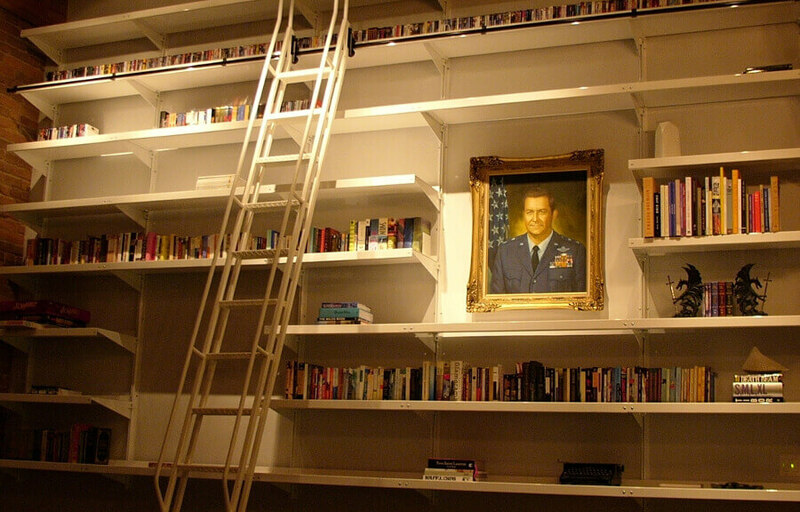 E-Z Shelving is simple to configure into a striking display. 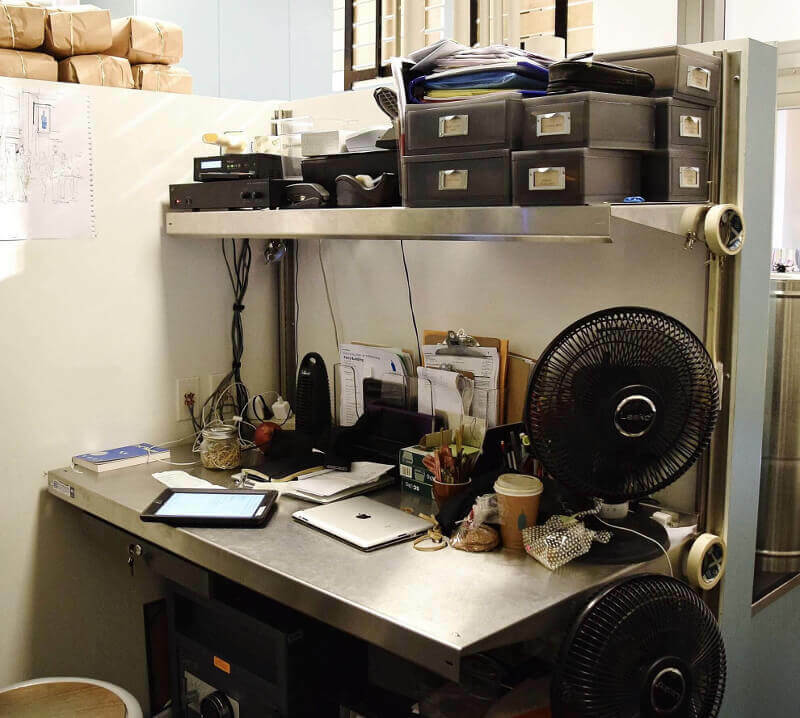 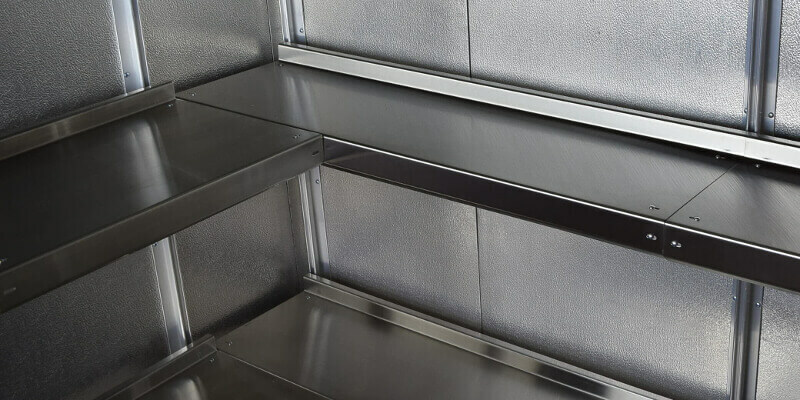 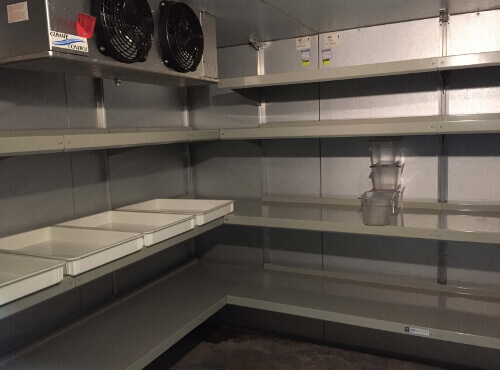 NSF-Certified for Kitchen and Walk-in Cooler Environments. 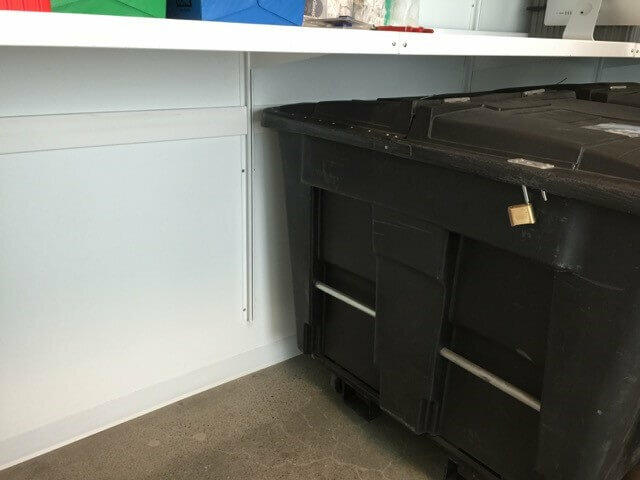 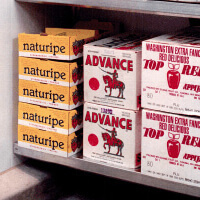 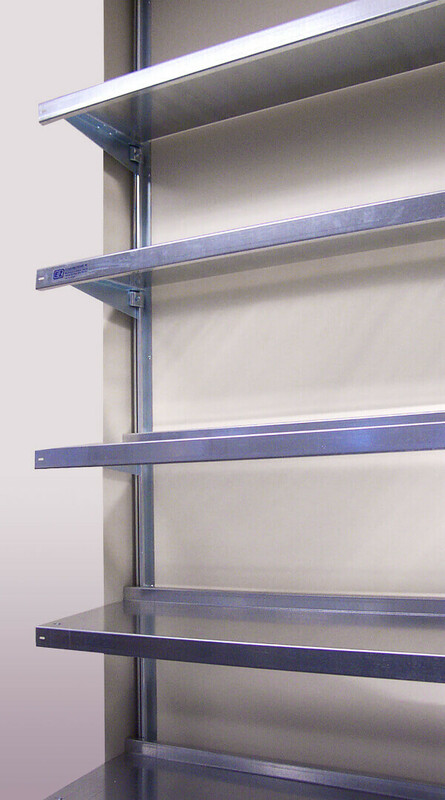 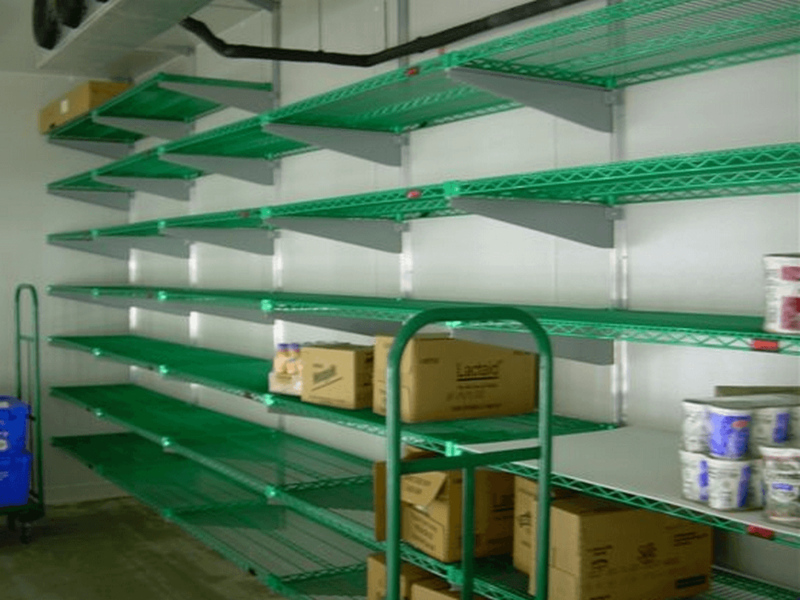 E-Z's open-front shelving facilitates loading and unloading. 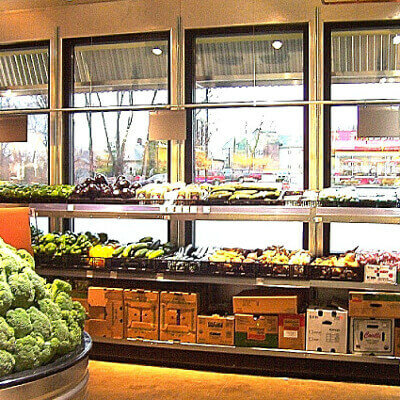 Install over windows for two-way product display. 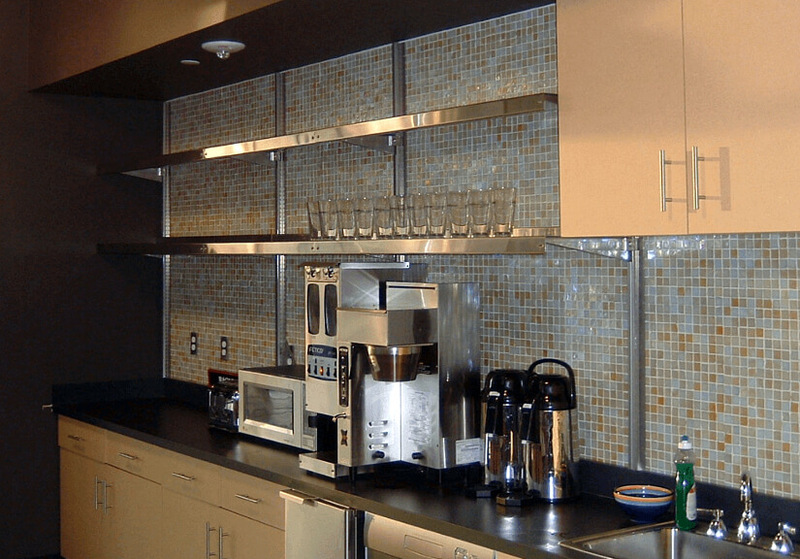 Stainless + great lighting = attractive product. 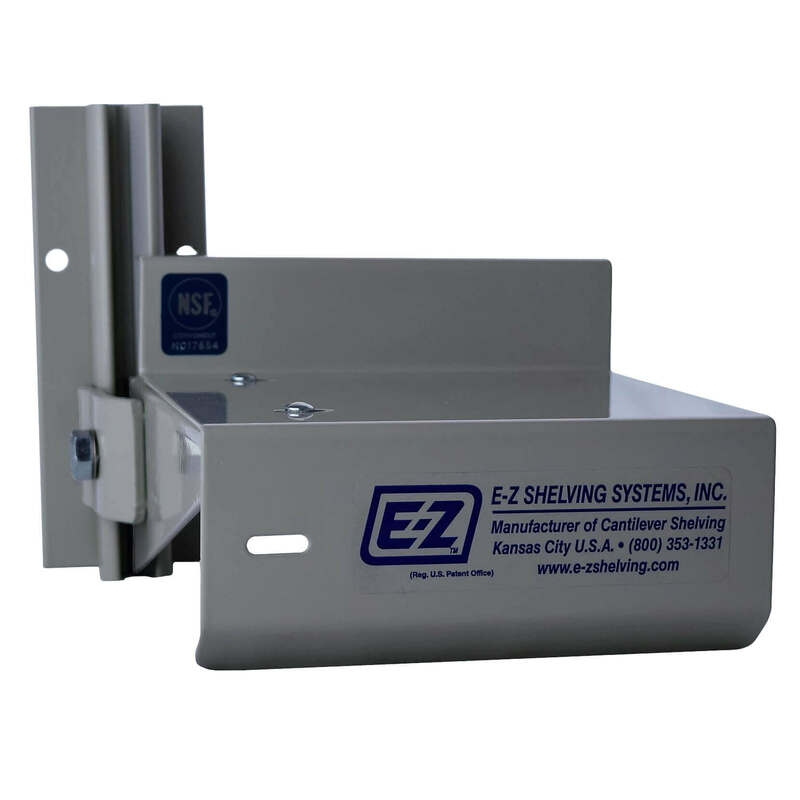 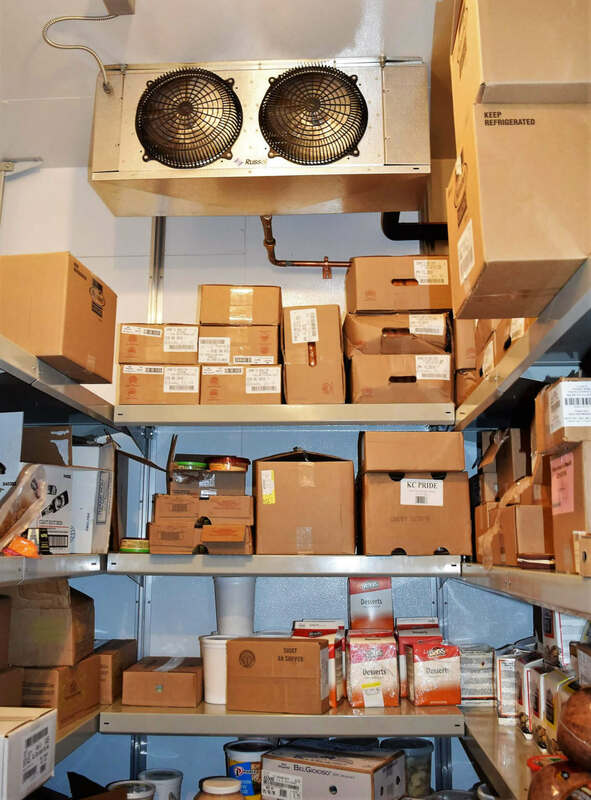 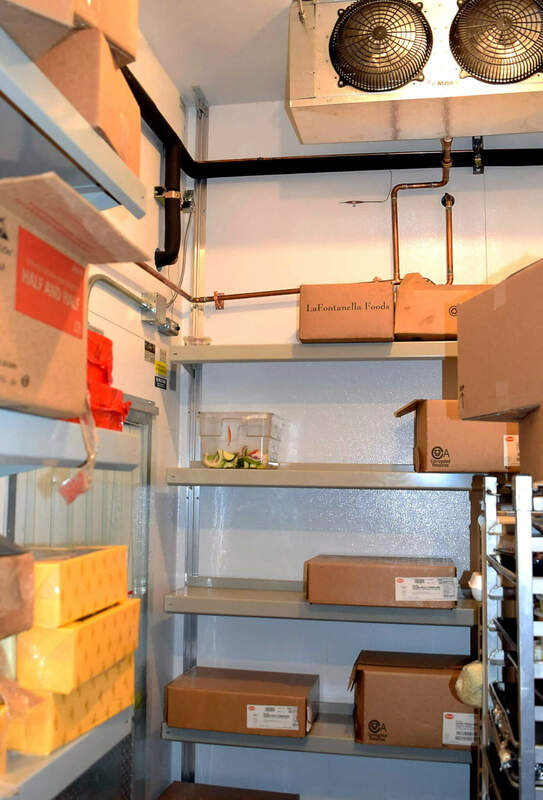 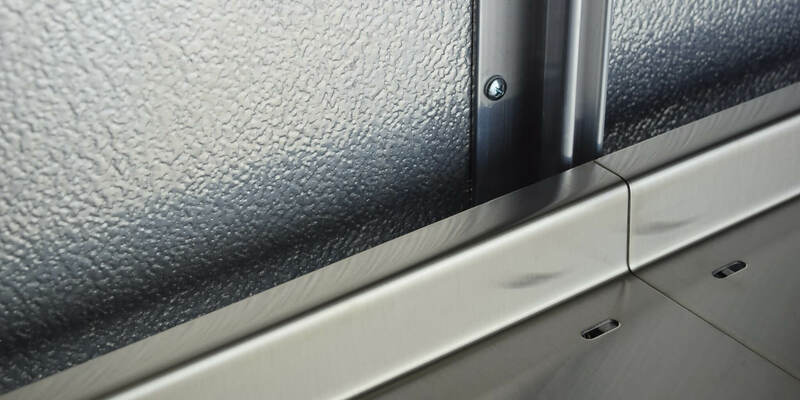 E-Z will help you maximize the shelved space in your cooler/freezer. 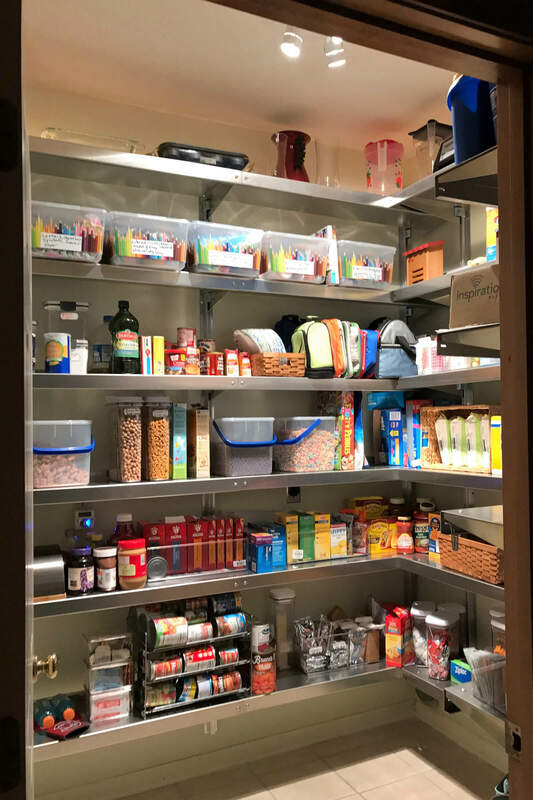 A bold look for the kitchen pantry. 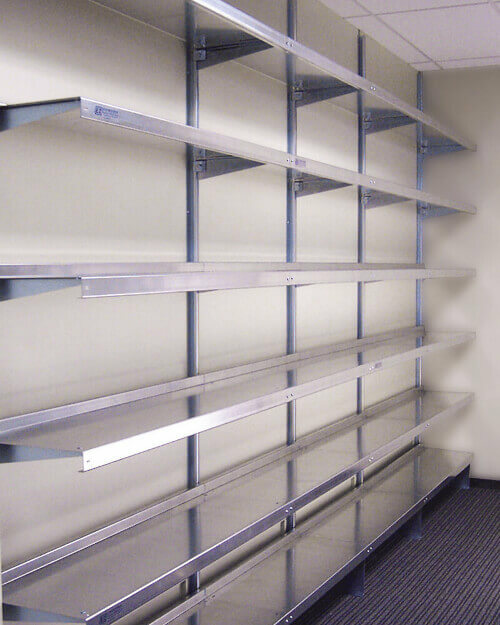 Available in custom sizes and a variety of finishes. 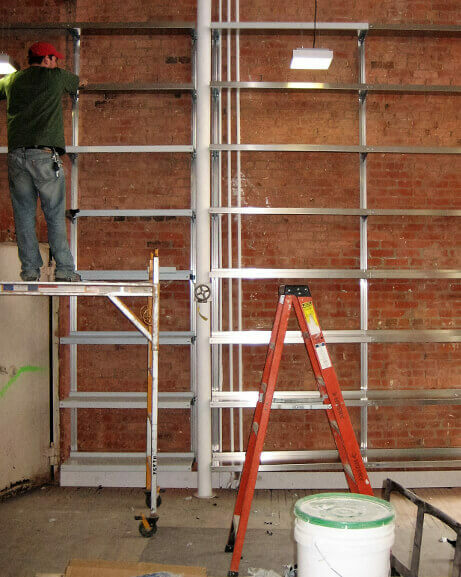 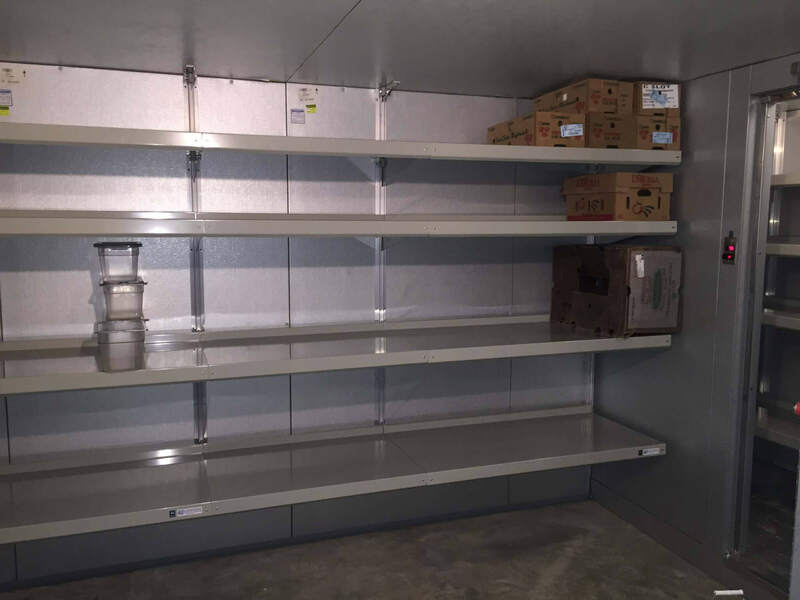 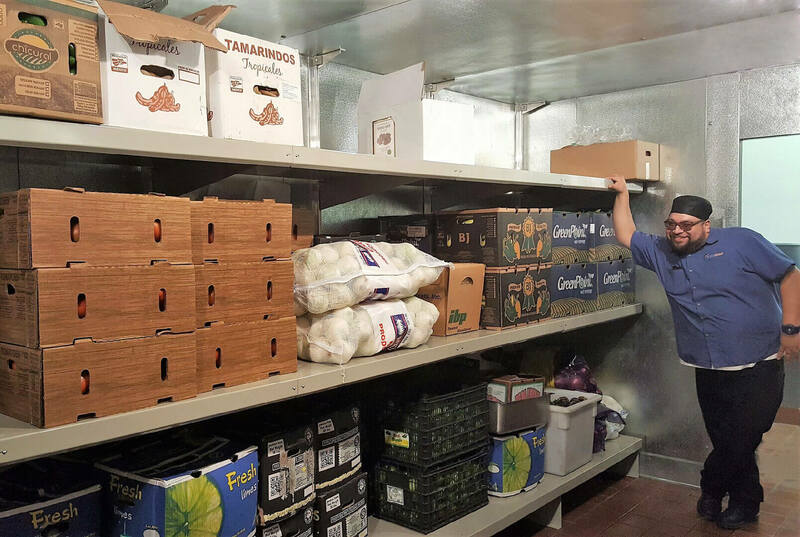 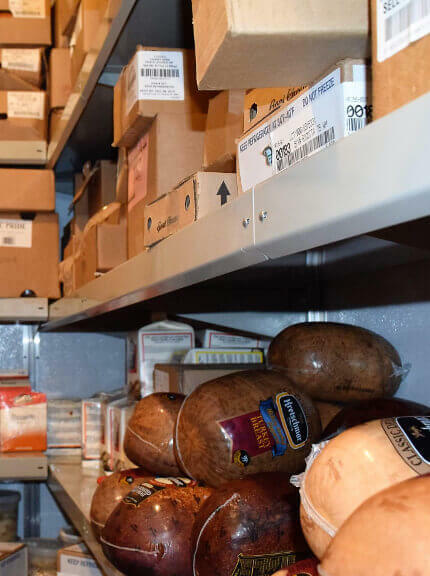 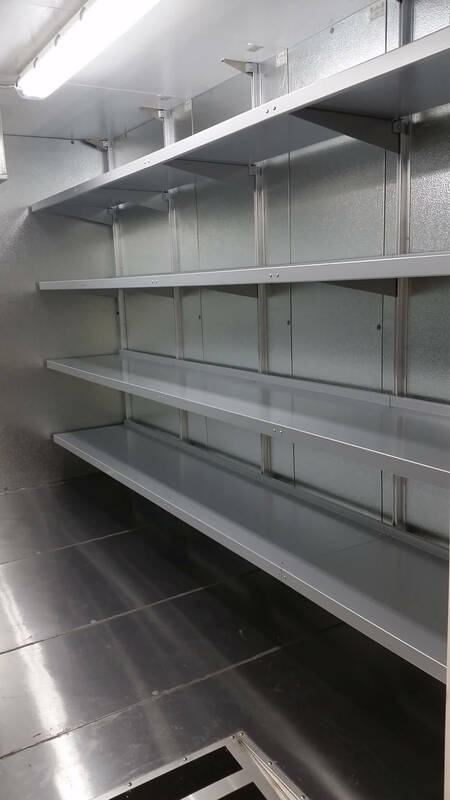 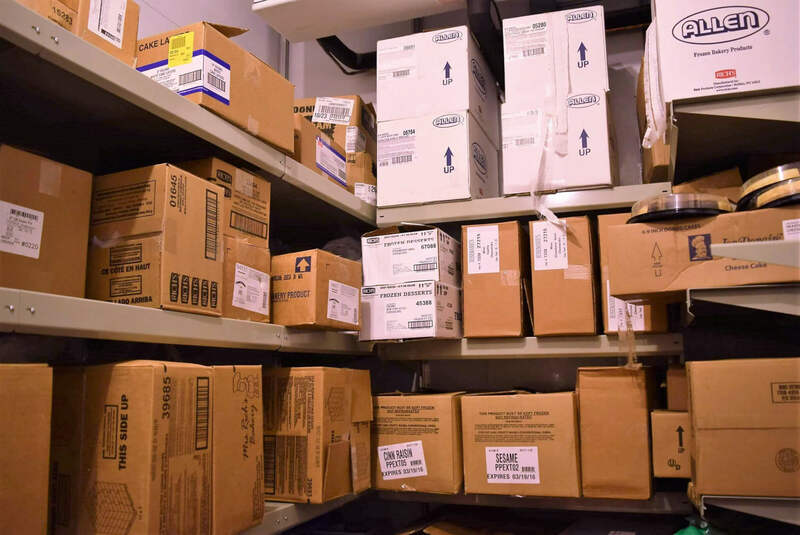 E-Z's walk-in cooler shelving systems mount straight to cooler panels, and sustain heavy loads, without blocking. 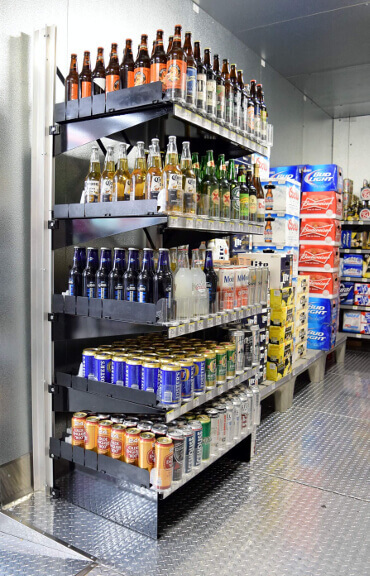 Your E-Z walk-in cooler specialist will help you work around cooler elements. 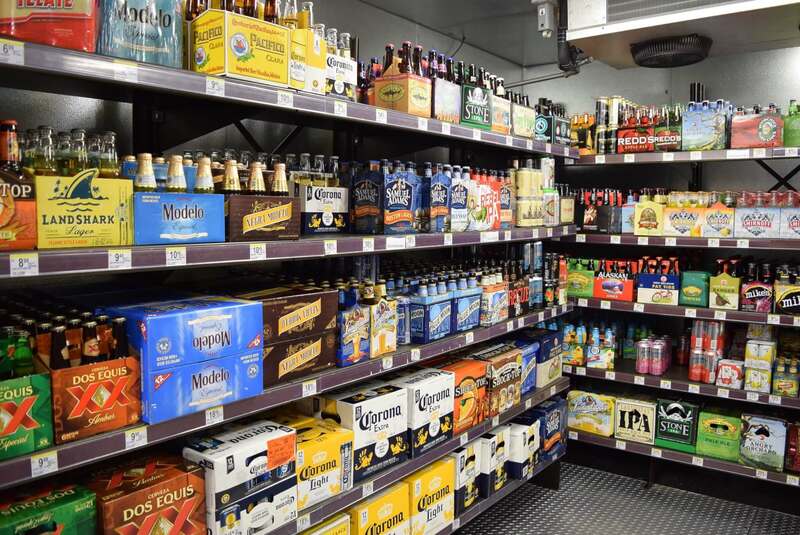 Reflect the personality of your store with beer cave shelving in a custom color.